The Dec. 8 Sarasota County Commission agenda item said simply, “To authorize a public hearing on an ordinance amending Article VIII, Chapter 70 of the County Code, relating to Educational Impact Fees.” But it led to more than a vote on that topic after a commissioner told her colleagues about a Sarasota County School District employee’s recent comment to the Venice City Council. 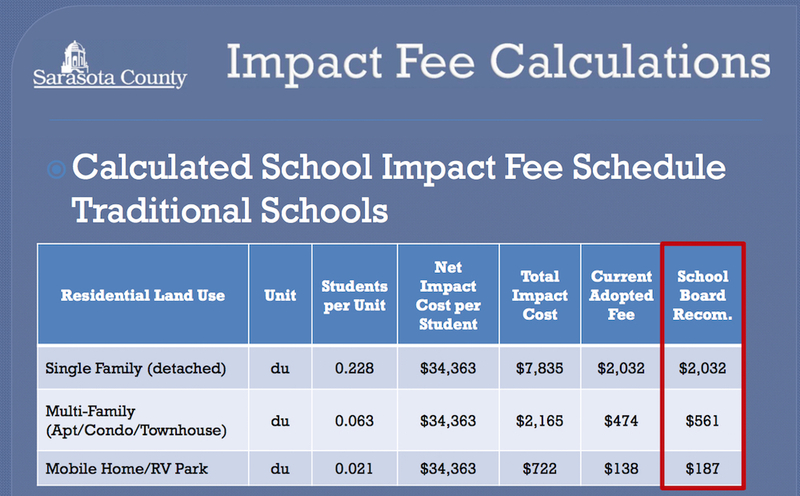 After a five-year moratorium on impact fees, prompted by the Great Recession, the School Board voted 3-2 on Oct. 20 to ask the County Commission to implement fees once again. The School Board set the total for a new single-family home at $2,032, the same rate in place prior to the moratorium, which began in 2010. 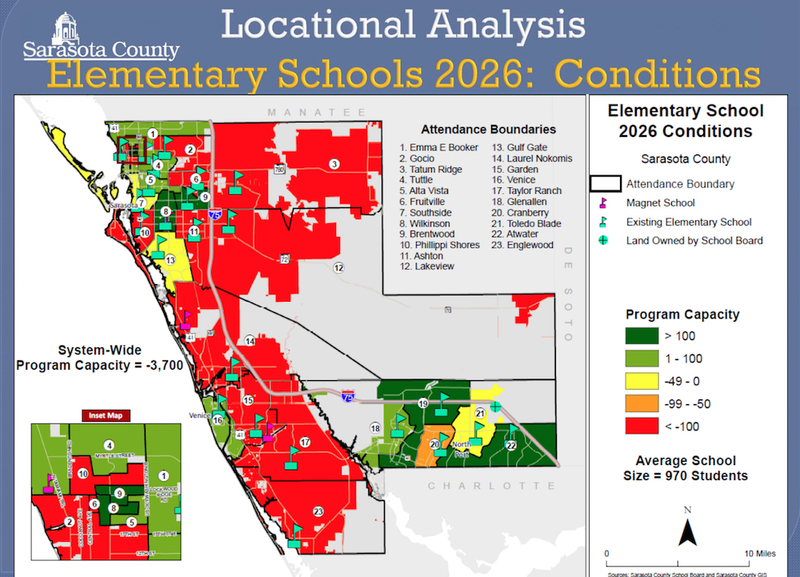 Because the School Board this year authorized an updated study of educational impact fees by the Tampa-based Tindale Oliver firm, the Oct. 20 vote essentially set the new assessments at 25.9 percent of the full, legally defensible levels. 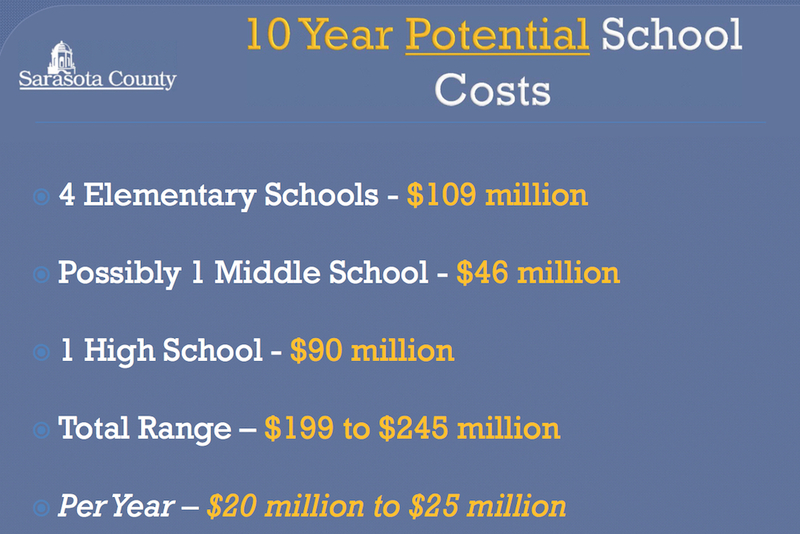 Therefore, Steve Tindale, CEO of Tindale Oliver, explained to the County Commission this week, the fees the School Board is requesting for multi-family housing units and mobile homes are $561 and $187, respectively. The maximum defensible amounts supported by the Tindale Oliver study are $7,835 for a single-family home, $474 for a multi-family dwelling and $138 for a mobile home, according to the Tindale Oliver report. Following Tindale’s presentation, Commissioner Charles Hines made a motion to authorize the advertisement of the public hearing on imposing the new fees. The hearing will be held during the afternoon session of the County Commission’s regular meeting on Jan. 26, 2016, in Sarasota, which will start at 1:30 p.m., according to the legal advertisement prepared for the board’s review. Commissioner Paul Caragiulo seconded the motion. In the meantime, the moratorium will end on Dec. 14, Tindale told the board, meaning the 2004 single-family home fee of $2.032 the School Board set — and the County Commission approved — will go into effect. 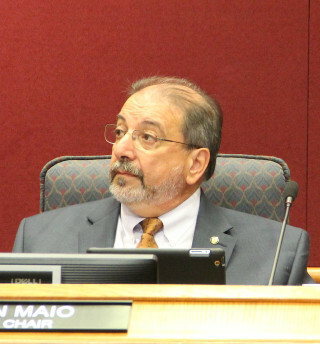 Assuming the County Commission approves the new fees on Jan. 26, he pointed out, a 90-day waiting period will ensue, by law, before those will become effective. 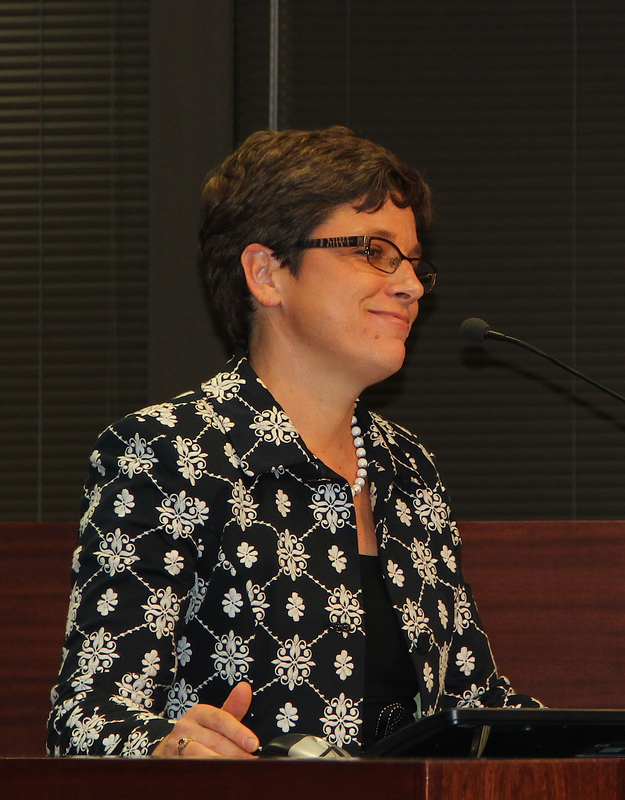 After the vote on the public hearing, Commissioner Christine Robinson asked to be heard on a related matter. She watched the Nov. 18 regular meeting of the Venice City Council, she told her colleagues, which included a presentation about the Tindale Oliver growth management study for the School Board. During the council’s discussion with the school district’s planning director, Kathie Ebaugh, Robinson continued, Councilman Fred Fraize voiced displeasure with the level of impact fees the School Board settled on in October. Then Mayor John Holic said, “‘I would suggest, Mr. Fraize, I think you are preaching to the choir,’” Robinson told her colleagues, noting that she had written down the quotes. At one point, Robinson said, Ebaugh told the council members, “Ultimately, it is the County Commission’s decision” about setting the impact fees. “She pointed them in our direction,” Robinson added of Ebaugh. Furthermore, Fraize had asked Venice city staff to put an item on the council’s Dec. 8 meeting agenda that calls for discussion of higher school impact fees, Robinson noted. In a Nov. 19 email he sent to a city staff member, Fraize wrote, “The city would do a letter to the county requesting that school impact fees be adjusted to the 50% level” that School Superintendent Lori White had recommended. The agenda item, though, called for discussion about whether to send such a letter to the School Board, Robinson pointed out. Fraize added in his email that he hoped other municipalities would join the Venice board in calling for the higher fees, she continued. In subsequent conversations with School Board members, Robinson said, she learned that it was not their intention to have a municipality’s request for higher fees directed to the County Commission. “This is School Board planning, School Board study, School Board budget, School Board recommendation,” Robinson added of the impact fee issue. Yet, a district staff member had referred the matter to the County Commission, she noted. “I would like the board to consider a motion,” Robinson said: If the County Commission receives any recommendation from any other government entity or organization regarding the level of the school impact fees, the County Commission should send the communication to the School Board prior to the January public hearing. Vice Chair Al Maio seconded the motion. “We have to do our best to maintain relationships with each of the cities, the school district … Going to one of the duly elected boards and saying, ‘If you don’t like this … send a letter to the County Commission — if, in fact, that was what was done, it seems inappropriate,” Maio said. “That’s just dragging us into a fight they want to have,” he added of the Venice Council. In defense of Fraize, however, Maio said he thought the councilman is new to that city board. “Thank you for bringing that to our attention,” Board Chair Shirley Brown responded. 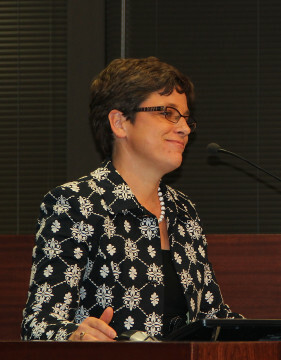 In a telephone interview later that day with The Sarasota News Leader, Brown said, “Once the board takes the position, the rest of the board should support that, as should the staff.” She pointed out that she originally made a motion calling for the 50-percent level of fees White had recommended, but her motion failed. 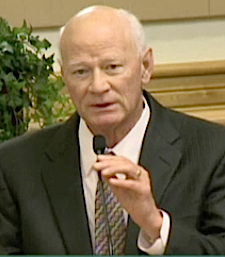 In a review of the Nov. 18 video of the Venice City Council meeting, the News Leader found that during the discussion following Ebaugh’s presentation, Fraize said he thought he recalled that Superintendent White had recommended the School Board adopt 50 percent of the full impact fee level recommended in the Tindale Oliver study, which would have put the expense for a new single-family home at $3,917. Ebaugh said his memory was correct. Ebaugh pointed out that the School Board could raise the levels over the next four or five years, the period during which the Tindale Oliver figures still will be legally defensible. Ebaugh has been making presentations to all the municipalities about the Tindale Oliver growth management study, Lempe noted, so their board members will understand what lies ahead. “No hidden agenda,” he added. 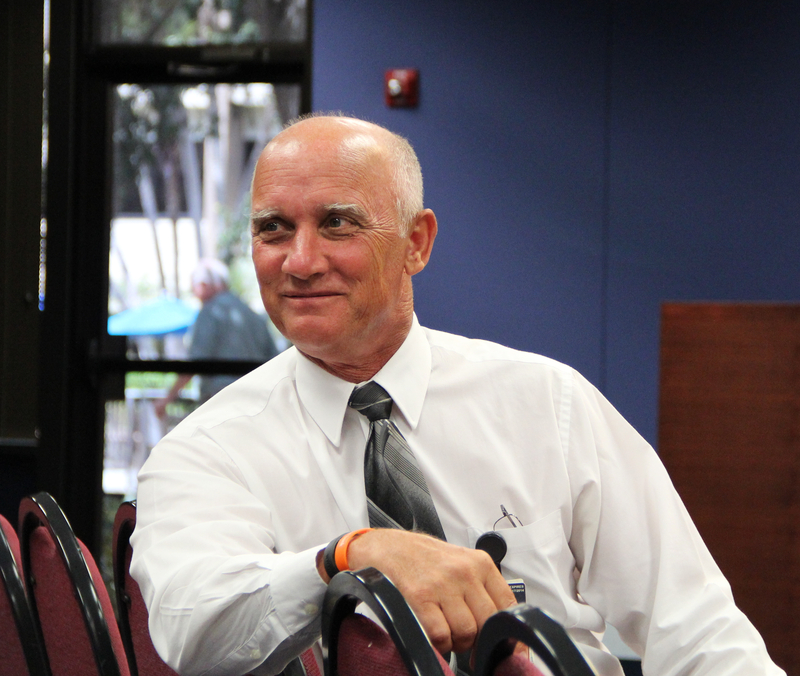 The Longboat Key Town Commission was the only governing body that did not want to see it, he noted. Now it is up to the County Commission to vote on an ordinance setting the new fees the School Board has requested, Lempe reiterated. As for the Dec. 8 Venice City Council agenda item about the school assessments, Pam Johnson, the city’s public information officer, told the News Leader on Dec. 9, “No action was taken.” The consensus of the council members, she added, is that setting the fees is the purview of the School Board.